UltraFICO Score 2019 is a new saving-oriented scoring model that will benefit millions of Americans who always love to have some money on their hands. Before, it was about the money that you have in your saving accounts. Now it’s also about boosting your FICO score! Are you planning to buy a property or make an investment? Would you like to earn extra points for your credit score to implement your plans? Do not look further since Fico’s new credit scoring model will help you to boost your credit score which will enable you to accomplish your project goal. Remember, the higher the loan, the more the interest rate which reflects your financial capabilities. Ultra Fico Score is a new scoring model for predicting customers’ creditworthiness. 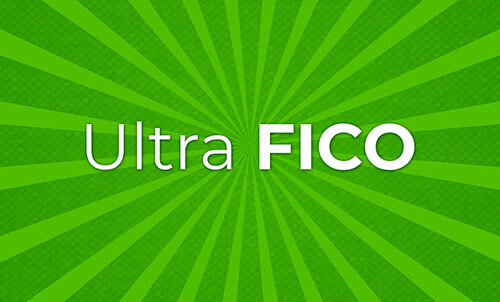 Being the best developer of the most used credit score worldwide, Ultra Fico has a plan of helping millions of small-scale consumers in utilizing their savings that will enable them to maintain minimum credit balances. Below are the four new Ultra Fico hacks which may help to boost your credit score. Consumers that show average savings of $400 without negative balances in past three months see an increase in their FICO. A customer should adapt to depositing more in their accounts than withdrawing. A customer should transform his/her bank accounts to a default billing method to keep it active. A customer who owns an active bank account is known to be financial literate compared to those without one. Secondly, financial institutions requests for their customer’s details (for instance; name, age, next of kin, address, among others) to make follow-up easier in case of defaulting. A negative balance is an indication of an unstable financial condition which lowers your credit score. This means that the customer is unable to manage his/her income, therefore, failing on meeting their financial obligations. Coming next year, the Ultra Fico will be monitoring on their customers account balances and their capabilities on settling their debts. One of the Ultra Fico scores requirements to avoid negative balances is that; a customer should maintain an average minimum balance of 400 dollars in their bank account, though they will first focus on the small group of lenders. Below are some of the Fico’s guidelines on how to maintain a healthy credit card balance. Make payments using your credit card once you have a larger deposit to avoid low balances or deficits. In case you’re unable to settle your credit card’s balance, avoid using it until you can minimize its debt otherwise, the debt may overburden you. For your information, low-income earners can still earn good credit scores if they manage to avoid the negative account balances. The new Fico system may lift the consumers’ credit scores by maintaining evidence of their bank savings via bank statements, savings book, or a letter from your financial institution. Typically, any consumer with a bank saving has a reliable source of income that enables him/her to service their accounts and maintain a healthy average balance. Regular savings demonstrates the customers’ capability to meet their general expenses and bills which boosts their credit scores. Finally, a healthy average balance is essential not only for customers credit score but also for their overall financial health. This is another hack the Ultra Fico system will use to determine their customer’s credit score. They will ensure that their customers settle their bills and service their loans regularly creating a room of growing financially. In addition to that, a regular transaction settlement indicates that the customer can plan for his/her finances, therefore, enabling them to access other financial support. Finally, the Ultra Fico strategies may be of significant impact to consumers struggling to boost their credit scores. However, the system may face some critics once launched since people are generally self-centred. On the other hand, Fico’s policy has been embraced by some banking institutions since it may simplify their work by enlightening their customers on bank accounts and loans. Unfortunately, the system may have no impact on literate financial consumers.